Engines: Four Caterpillar 3616 diesels. 1994: Delivered to Buquebus International Ltd, Nassau, Bahamas. 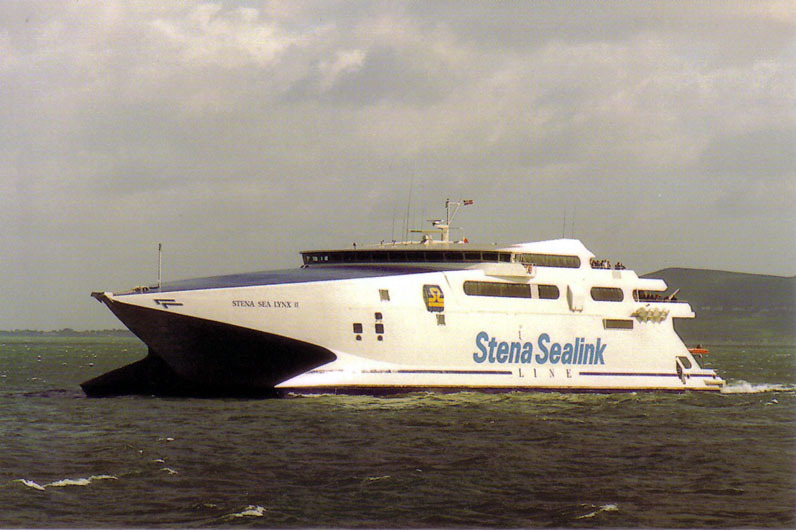 1994: Chartered to Stena Line Ab, Gothenburg. 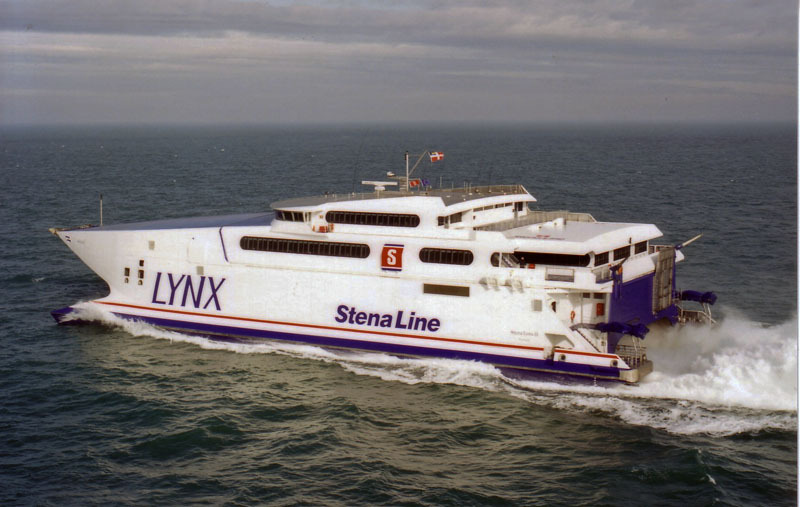 Renamed STENA SEA LYNX II. 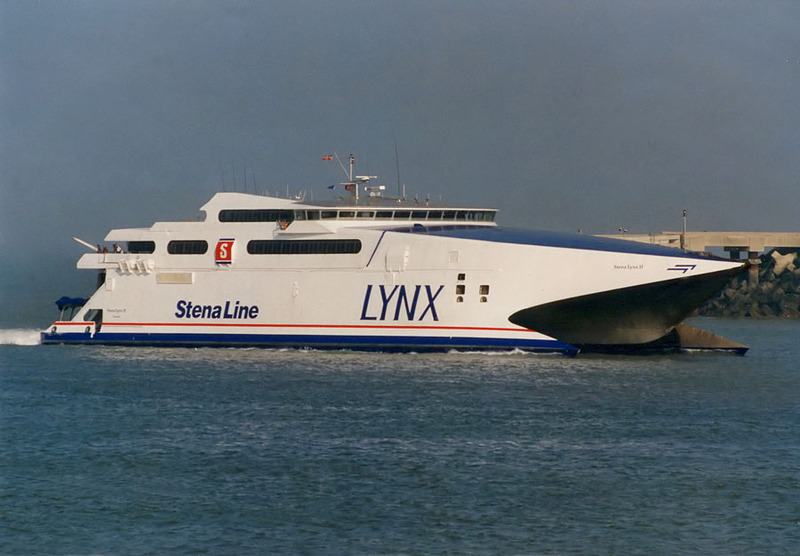 June 18th 1994: Arrived at Holyhead. 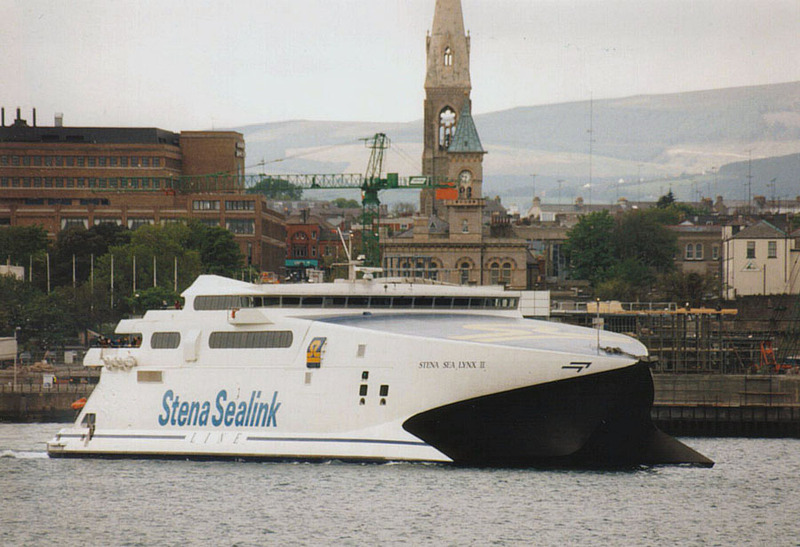 June 22nd 1994: Inaugural sailing Holyhead – Dun Laoghaire. 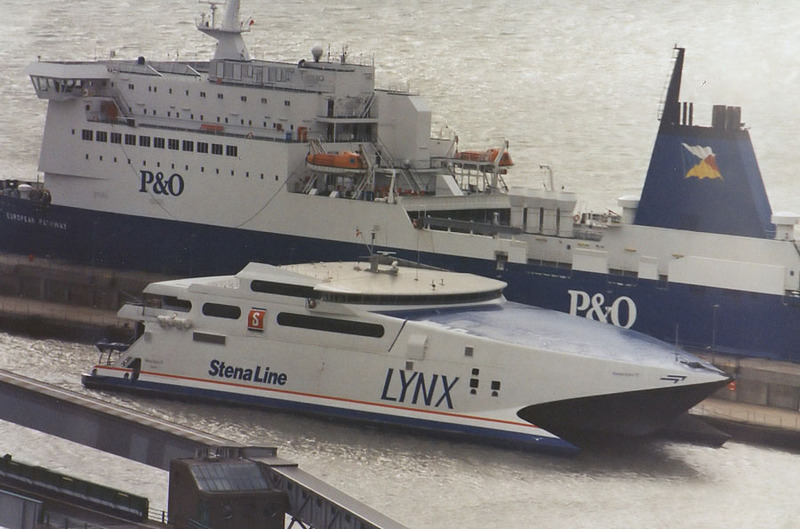 June 1995: Sent to Liverpool for mechanical repairs. 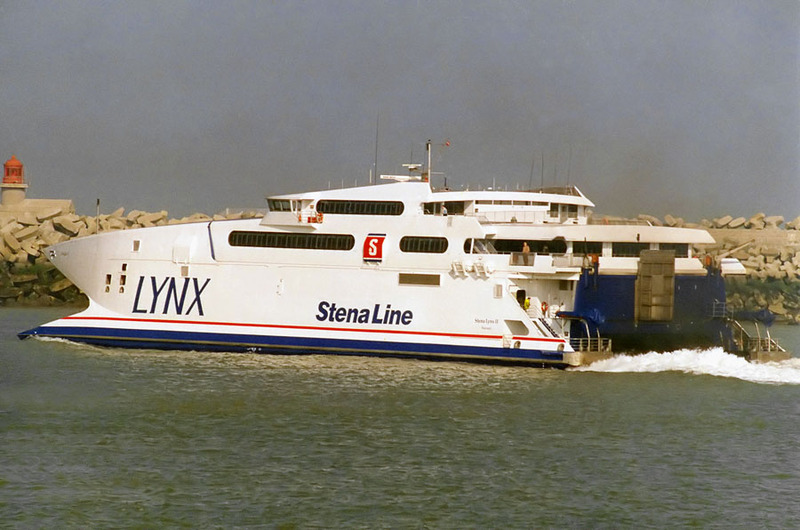 February 13th 1996: Renamed STENA LYNX II. 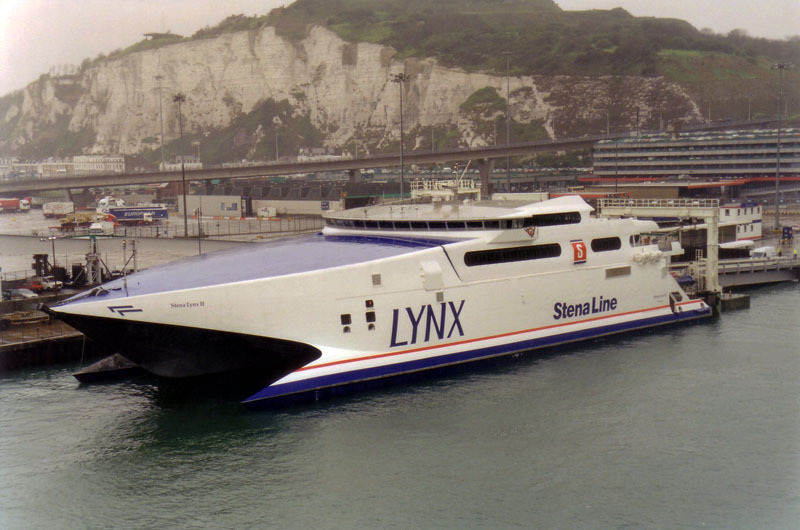 Introduced between Dover – Calais. 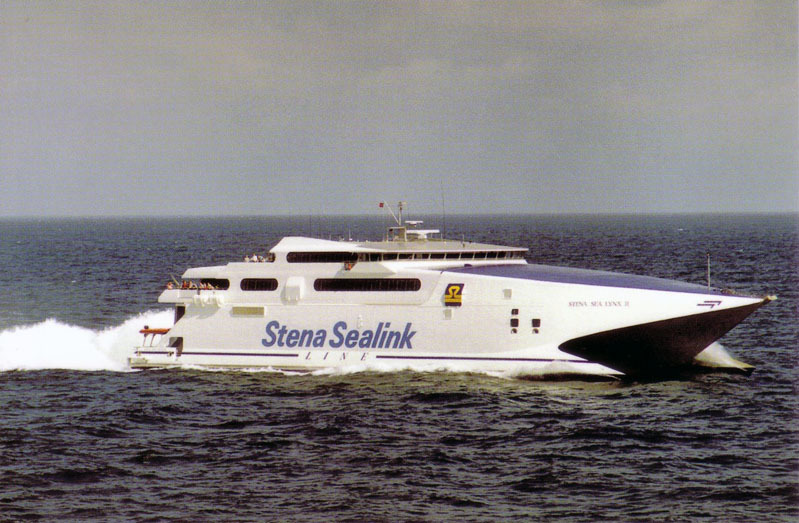 June 15th 1996 – August 11th 1996: Operated between Göthenburg – Frederikshavn. August 1996: Laid up in Gothenburg. 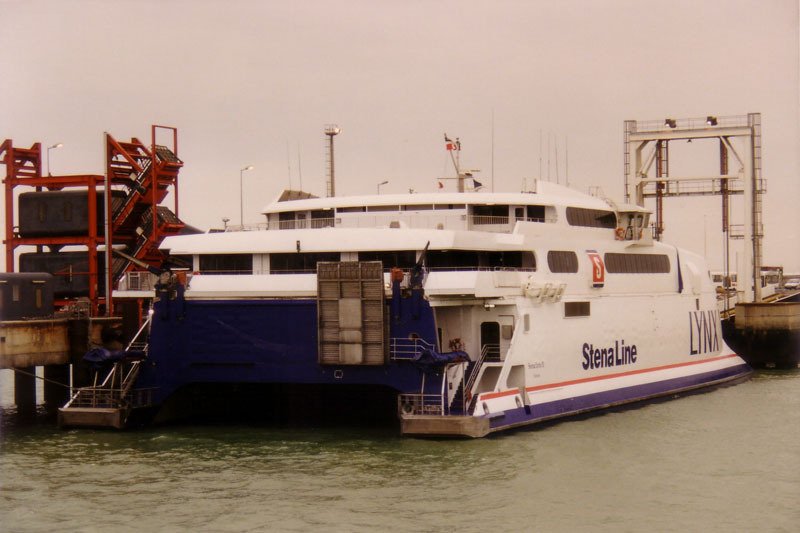 September 1997: Charter to Stena Line completed. 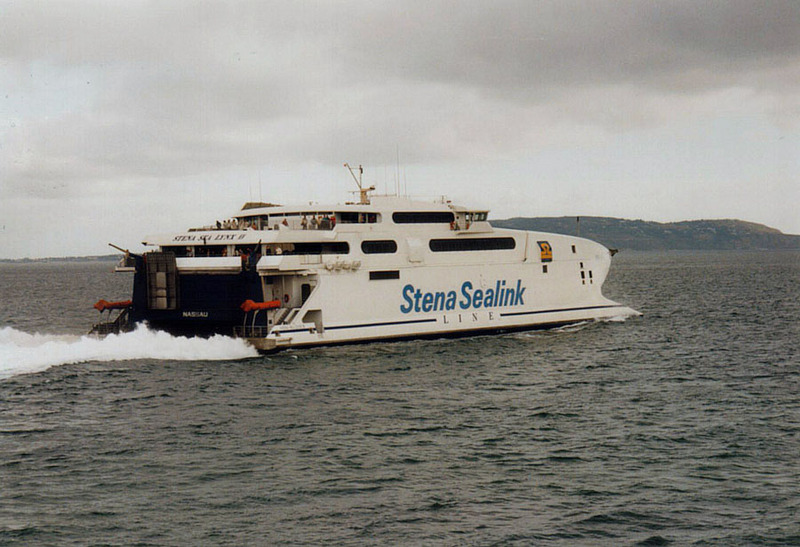 September 1997: Chartered to Buquebus. 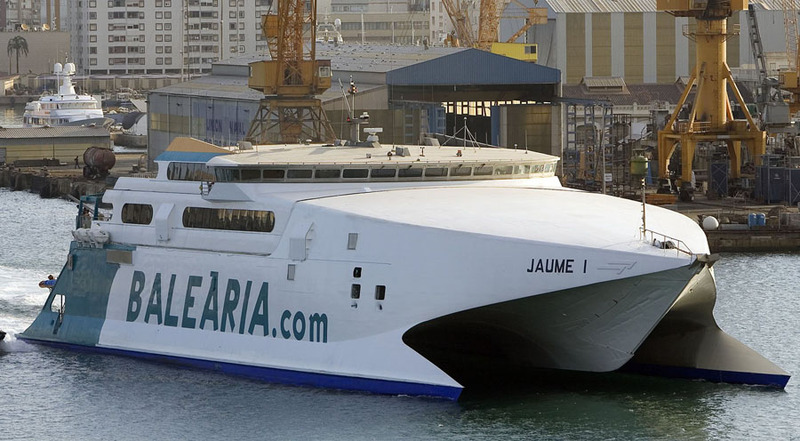 Renamed RONDA MARINA and began operations between Algeciras – Ceuta. 1999: Sold to International Catamarans Chartering Pty., Hobart, Australia. July 19th 1999: Laid up in Portland. 1999: Registered to Adriatic Fast Ferries, Nassau, Bahamas. 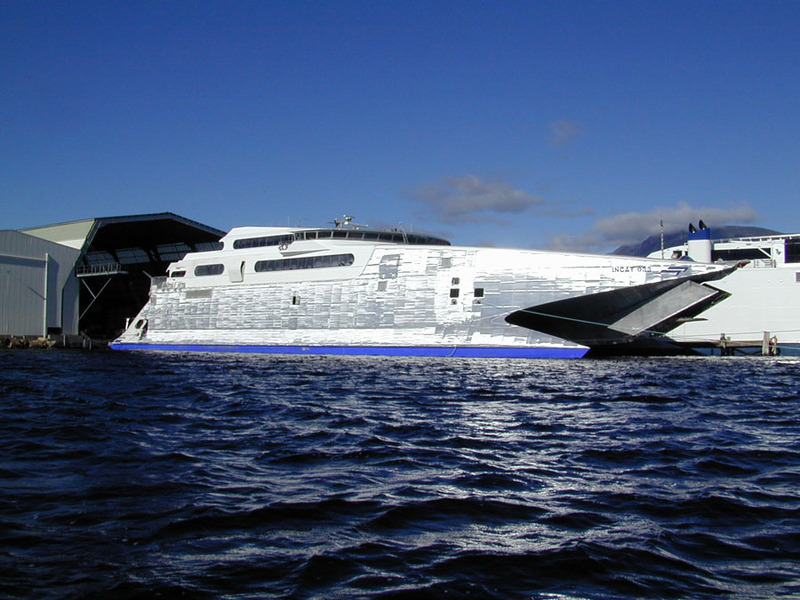 Renamed INCAT 033. 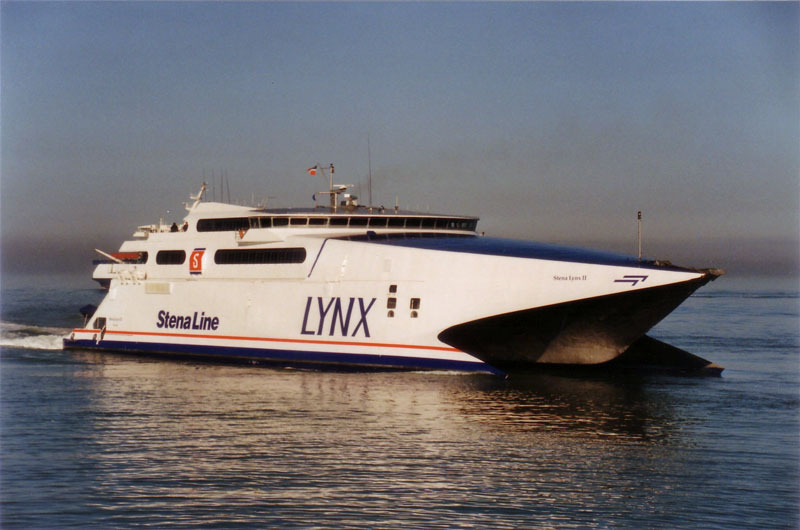 1999: Chartered to Lineas Fred Olsen, Spain. 1999: Laid up in Santa Cruz de Tenerife, Spain. May 15th 2000: Chartered to Transmediterranea, Spain. Renamed FAST CEUTA. 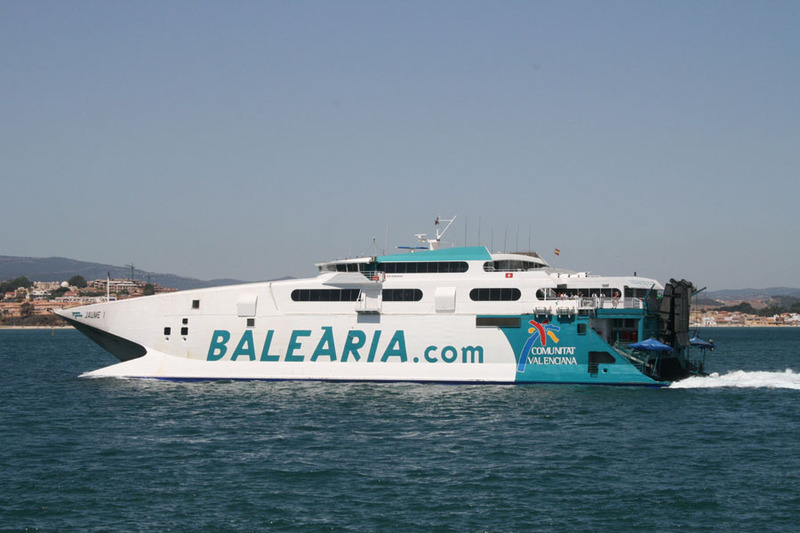 May 23rd 2000 – October 2000: Operated between Algeciras – Ceuta. 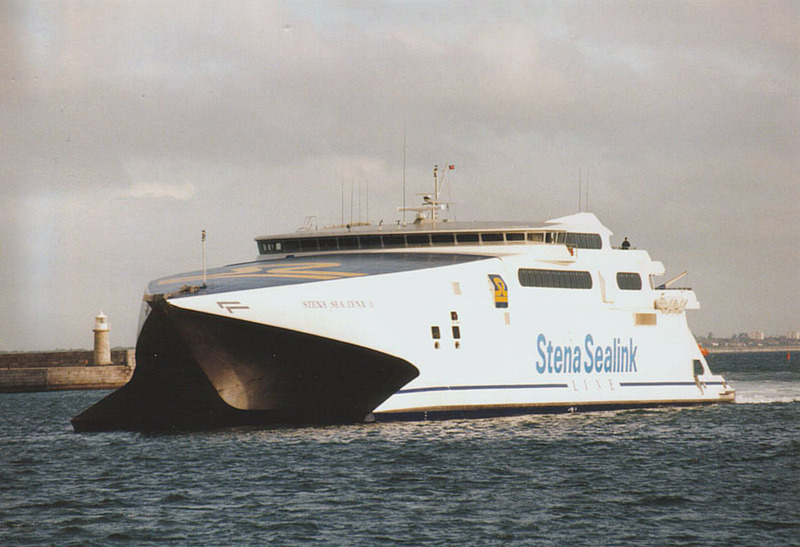 October 2000: Charter completed and renamed INCAT 033. Laid up in Valletta, Malta. 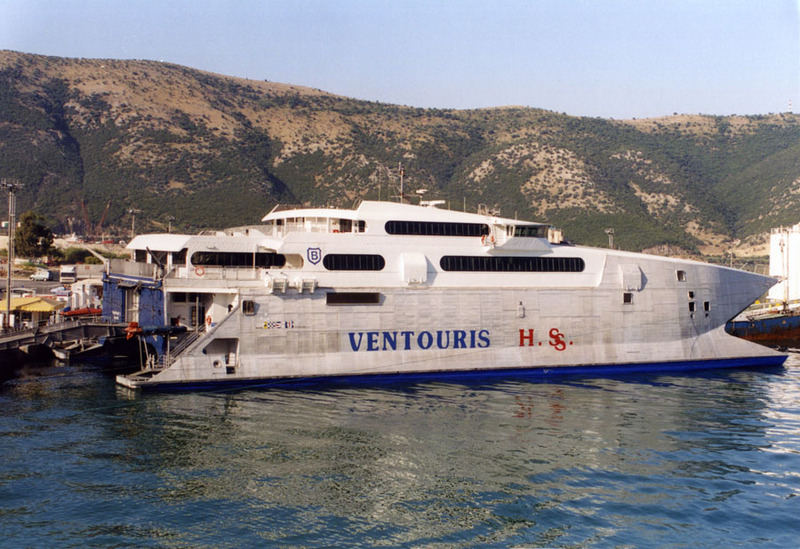 April 2001: Chartered to Ventouris Ferries, Piraeus, Greece. Renamed THUNDERCAT 2. 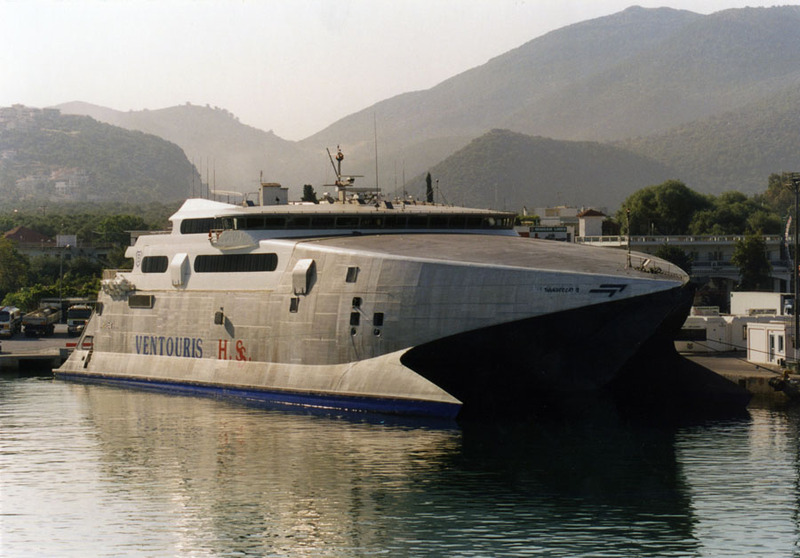 April 2001: Commenced service between Igoumenitsa – Corfu – Brindisi. 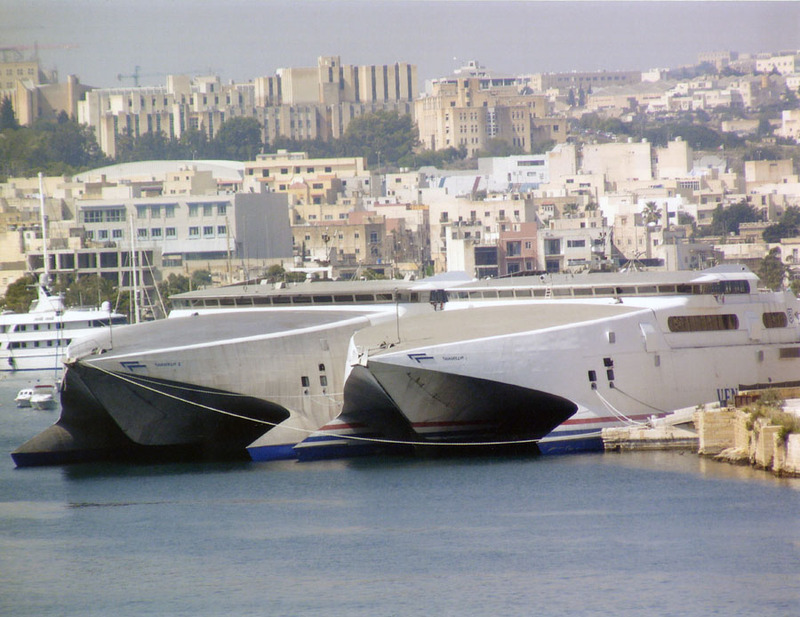 October 2001: Laid up in Valletta, Malta. 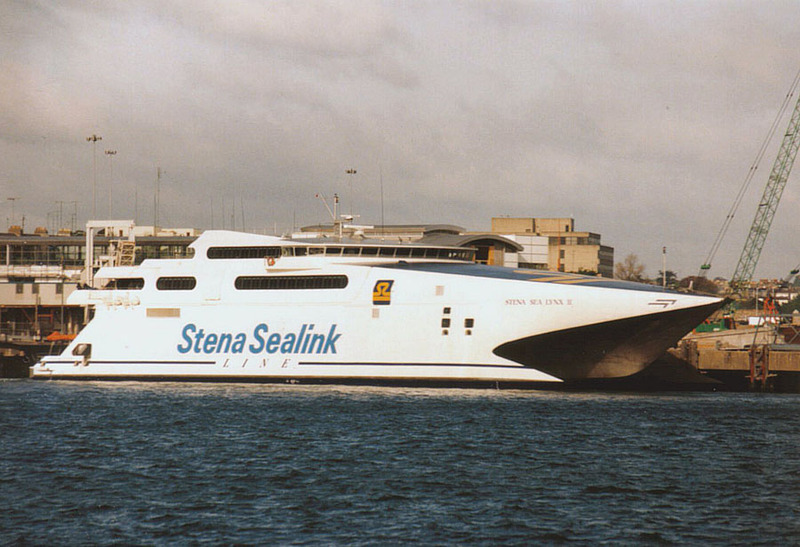 May 2003: Plans surfaced that Finmark Fylkesrederi in Norway would purchase/charter the vessel for use under a concession to Norske Ferger to operate between Stavanger – Bergen. The scheme never materialised. 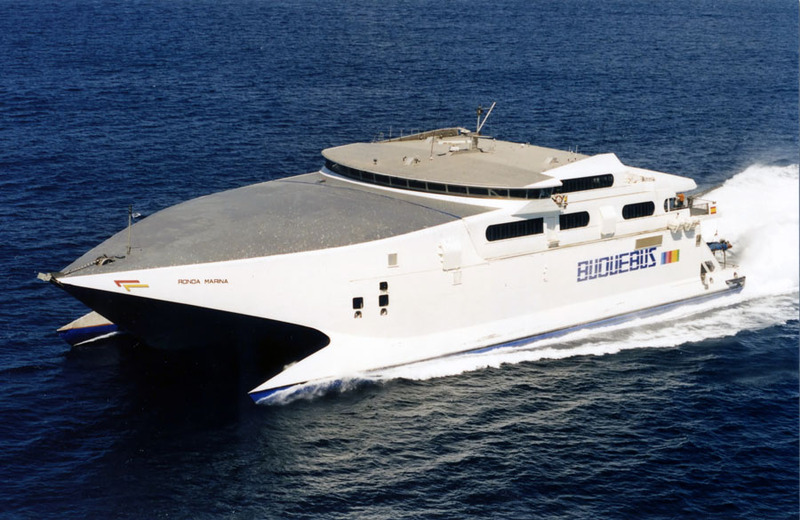 May 2005: Floated to Cadiz, Spain for overhaul. May 2005: Sold to Balearia, Spain. 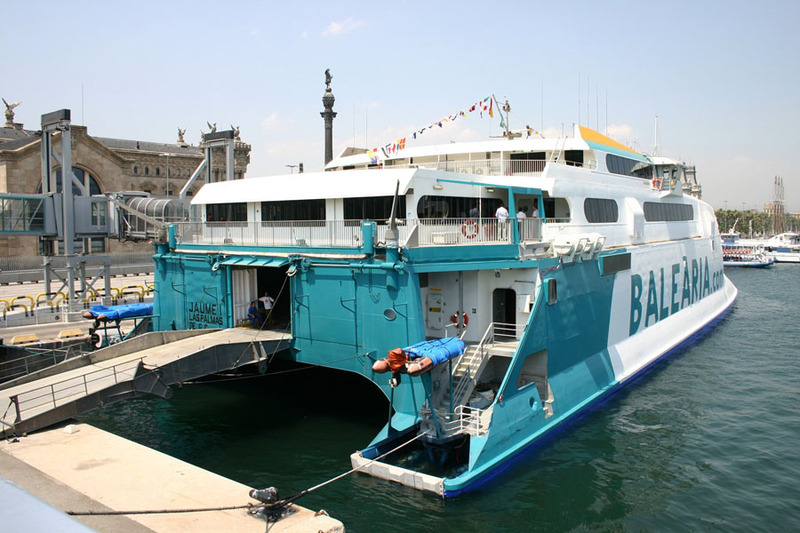 Renamed JAUME I.
June 22nd 2005: Commenced service between Barcelona – Palma De Mallorca. 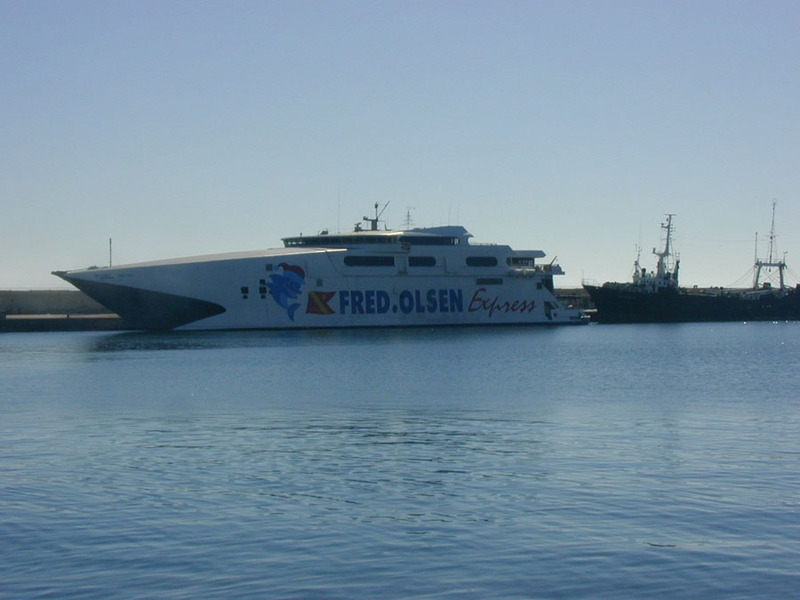 October 12th 2005: Services between Algeciras – Tanger. 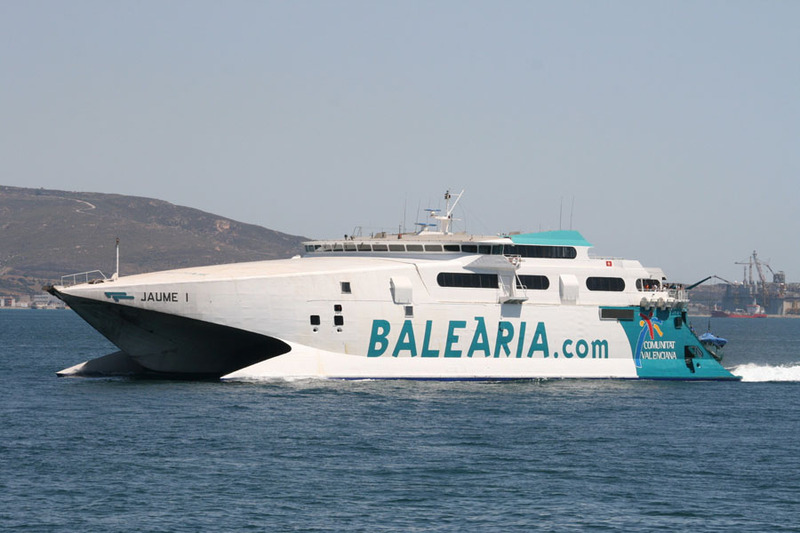 December 2007: Commenced operations between Algeciras – Ceuta. January 2016: West Africa, Vessel Tracker. March 15th 2016: Sailed from Freeport (Bahamas) to Port Everglades (Florida, USA). May 10th 2016: Last known to be moored in Port Everglades. 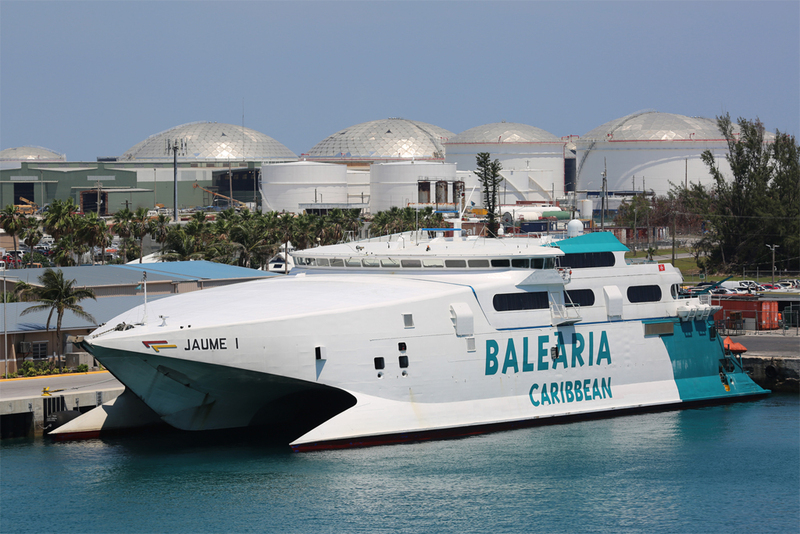 March 2018: Still in service with Baleària Caribbean sailing from Freeport (Bahamas) to Port Everglades (Florida, USA). All information is believed to be correct and no responsibility is accepted for any errors or omissions found. All items included in this article are subject to © copyright. 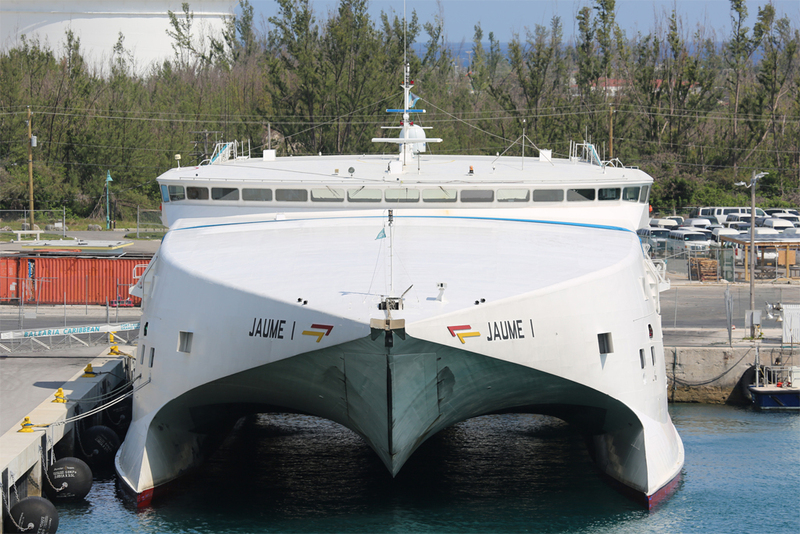 We would like to take this opportunity of thanking: Aubrey Dale, Daniel Ferro, Ton Grootenboer, International Catamarans Pty Ltd (Incat), Justin Merrigan, Stéphane Poulain, Juan G Mata, Vladimir Knyaz and Andreas Wörteler for their assistance in compiling this feature.